The Rose City Shindokai was established in January, 2016 when Dan Pearson relocated from D.C. to Portland. While ours is a small group, we are dedicated to learning jojutsu of the high quality expected in Shindo Muso Ryu. 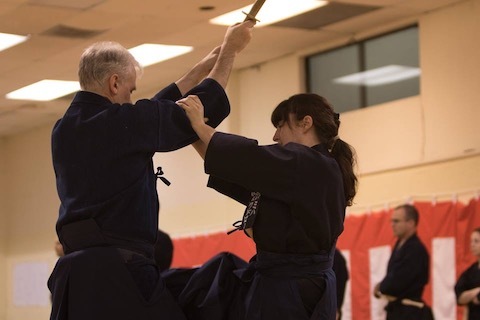 Members in Portland participate in the national gasshuku and have opportunities to travel to Japan to train as well. 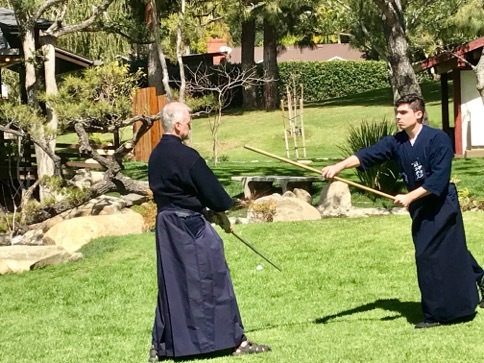 Darin Cox and Dan at enbu in honor of Donn Draeger, hosted by Belzer Sensei, Glendale, 2018. Miha Wadlow, keage ken from the Ikkaku Ryu, 2016 gasshuku.